Desde há uns tempos que quando pesquiso no google a barra : Web / Imagens / Mapas / Mais / Ferramentas de pesquisa. Aparece em cima em vez do lado esquerdo. Sabem como posso voltar a colocar-la no lado esquerdo como antigamente? Penso que não consegues mudar, visto ser uma actualização que a Google fez. Gostava mais com a barra no lado esquerdo, mas prontos não é grave. 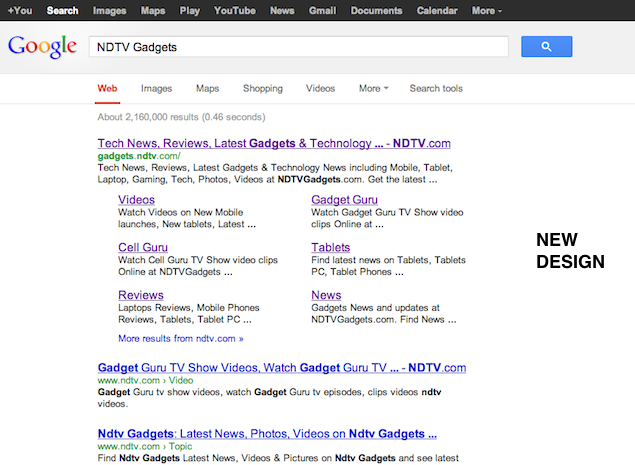 Google has redesigned its search results page for a "simpler, cleaner" look. The familiar sidebar has moved to the top, and overall the page seems to breathe easier (see old and new comparison images).The change is being rolled out in the US first, with other regions to follow soon. «You'll notice a new simpler, cleaner design on the search results page - we've been working on ways to create a consistent search experience across the wide variety of devices and screen sizes people use today. We started with tablets last year, got it to mobile phones a few weeks ago, and are now rolling out to the desktop.With the new design, there's a bit more breathing room, and more focus on the answers you're looking for, whether from web results or from a feature like the Knowledge Graph. The same advanced tools you're used to are still there when you need them. 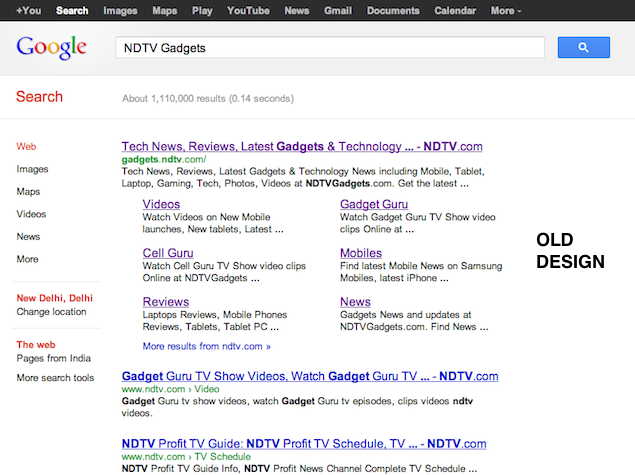 Just click on "Search tools" to filter or drill down on your results.